Firstly I’d like to wish Stacey a super speedy recovery – I’m sure we can all agree here that she has been extremely brave and I for one have booked my smear test after her inspirational post. This is going to be a step by step guide(ish) in juggling a life and a blog. Enjoy! Having a full-time job (or studying) and juggling a blog is no walk in the park. I’ve had the summer off from teaching and my organising skills went out the window. But now I need to start organising my work/life/posts – so I thought I’d share some of my techniques with you – you may even pick some up along the way? Making lists is a favourite pastime of mine – I am aware that this is a very sad (yet satisfying) hobby – I always try to keep my lists as SMART targets (Specific, measurable, action oriented, realistic/relevant, time based) This is something we teach our students – they’re basically goals/targets that are achievable. My students want to build F1 race cars, I tone it down to something a little more possible. If you work 9-6pm and you get home for about 7pm – unless you plan on having NO downtime what so ever, (which fyi I don’t recommend) keeping a target which you know that is attainable can help you plan effectively whilst maintaining a life. Only you can be the judge of what you can achieve in a certain time frame. Side-note: I like writing lists in a small moleskin diary – they’re really chic and classic. I tend to get bored of quote/patterned notebooks so this is perfect. There’s nothing really more satisfying then crossing something off your to do list right? 2am is when my brain seems to think of most of my post ideas – anyone else with me on this? *raise of hands* this is when I reach for my phone and leave all my ideas on a notepad app. 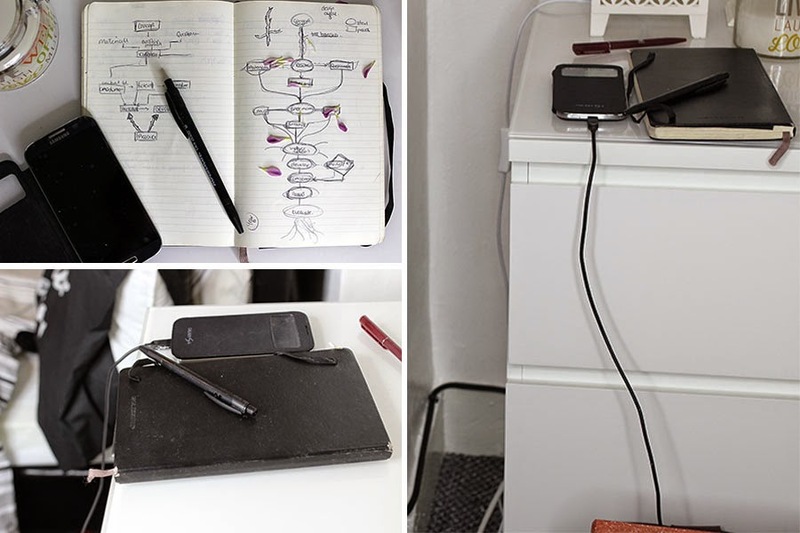 I also always keep a notebook and a pen on my bedside table. It’s good to look back on those raw thoughts that your brain cooked up in the early hours. Now I don’t really have a timetable of when my posts go up – I pretty much post sporadically. However once I do have a new post up, I tweet the hell out of it. I use an app called Hootsuite. I’ve written all about my scheduling tweet tips here. I think we can all agree that photography is the biggest element of a blog – ultimately blogs are a visual piece of article and photos is one of the main focus. You need to give yourself enough time to take good shots. GOOD LIGHTING is key. Daylight is obviously ideal however if you live in London then between Sept-March we get very little day-light. This is where Sundays come in. When everyone is having a lie-in, I’m up taking a week’s worth of blog photos. Keepin’ it organised people. When everyone is busy working/studying you very rarely get to sit down and think of ‘beauty’ (insert your genre………….) type of posts. This is the time to utilise your day to day life. Literally anything around you can become a post. A restaurant/shop/café that you found interesting. A motivating book, quote, thought? Anything. Lifestyle posts have become a favourite of mine – both to read and write. I say when you’re your busiest, venture out. Let’s face it – if you weren’t dedicated you wouldn’t be blogging. It takes up so much of your free-time that you would only do it if you had true passion for it. When you’re not working/studying you are probably thinking about your blog. So keep loving what you’re doing. Be aware of what you’re work/study schedule is like and plan your blogposts around that. You need to be SMART about targets and stay organised. 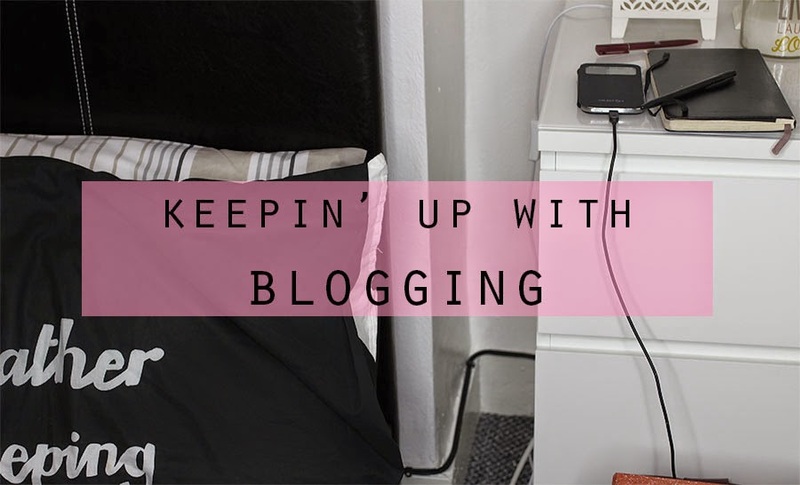 Keep calm and carry on blogging. What are your top tips for juggling a job/studies and a blog?